Imran Khan’s Followers — His Weakness or His Strength? Pakistan’s political frenzy is continuing as the world looks on. It is almost a month since the wave of protests began in Pakistan’s Federal Capital Islamabad. Thousands have left their homes at the call of Pakistan’s most popular political figure, Imran Khan, and the relatively progressive cleric Dr. Tahirul Qadri. The demonstrators have camped outside the Prime Minister House and Pakistan National Assembly, demanding their voices be heard. The protests are in essence against Pakistan Muslim League-N’s elected government and the Prime Minister Nawaz Sharif, who both Khan’s party Pakistan Tehreek-e-Insaf (PTI) and Pakistan Awaami Tehreek (PAT) wish to oust. Their reasons differ, but the end goal of both parties seems the same: “Go Nawaz Go” is the resounding chant in Islamabad, reverberating across Pakistan. Whether Sharif goes or not remains to be seen, as for now, democratic forces have saved him from a forced resignation. Khan and his followers believe that Sharif came into power through heavily rigged elections, and so it is not a democratically elected government in principle. Evidence supports Khan’s claims, but heated debates continue whether democracy should be “derailed” or should Sharif be allowed to complete his term. 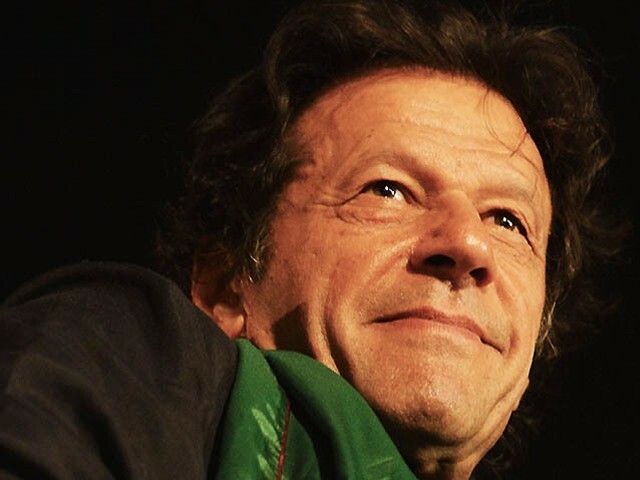 Through it all, Khan, already the nation’s “national hero” has emerged as a populist leader. Cricketer and philanthropist, Khan is undoubtedly one of the most followed leaders Pakistan has seen. His integrity because of his past record is unquestioned. Pakistan’s disgruntled masses love him even more for being non-political and non-dynastic. Khan’ s charismatic good looks and his image as one who leads from the front has added to it. He gives his supporters the much-needed hope of freedom from the clutches of dynastic politics, nepotism and corruption. His followers believe he will eventually be the prime minister of Pakistan and solve all of Pakistan’s problems and create a just, fair and secure Pakistan, which he calls the Naya (new) Pakistan. It is natural then that parables are drawn between Zulfiqar Ali Bhutto and Khan. Bhutto was a revolutionary and mobilized Pakistan’s masses politically. His daughter, Benazir Bhutto (BB), carried the torch of democracy after her father was assassinated, and was eventually killed at the hands of extremists. Yet their political party, the PPP (Pakistan People’s Party) remains a major political force in the country. While the mass appeal is similar, Bhutto and Khan have many differences. If the Bhuttos were leftist in their ideology, Khan is considered right off centre. His ideology, his background and his political prowess differ from the Bhuttos. But there are, ironically, jarring similarities. Let us take a look at Bhutto. Some 35 years later, Pakistanis still remember Zulfiqar Ali Bhutto in an awe-struck manner. They never got over Bhutto, whether they agreed with him or not. Bhutto was charismatic, a visionary, one of the proverbial leaders who “come along in centuries”. He connected to the awaam (masses) and his voice resonated with them. His manifesto addressed the pains of the people. He seemed God sent. The way he was snatched away from this country made him an even bigger hero. And Bhutto is that point in the history of Pakistan where the Jiyalas (staunch loyalists) were born. Infact, the term so effectively described the state of mind of Bhutto’s followers that the word became synonymous with his loyalists. His were a breed of loyalists who were ready to protect their leader and to die for him because they believed in him blindly. Rich and poor, urban and rural, illiterate and from the intelligentsia, these loyalists were varied in many ways but common in their reverence for Bhutto. Till this point, it was all good, and natural. Except for one thing. These staunch supporters, somewhere, left their sense of judgment buried behind their admiration for the messiah. The purpose and the vision of democracy and equal rights to all citizens of Pakistan became packaged in one and only one package. Zulfiqar Ali Bhutto. Without him, they were lost. Fortunately for Pakistan, the reigns of the PPP were taken over by the defiant, strong, politically groomed and well-meaning BB as her father’s political heir. The military dictator General Ziaul Haq’s era of oppression and the fact that BB was a woman fighting a dictator further brought out the protectiveness in people. What came out of it was not just a belief in Bhutto’s ideology, but also a belief in the Bhutto dynasty being saviors and almost infallible. They, and not the vision, became the focus. Sadly, this is what was exploited by those with hidden agendas. Absolute adulation corrupts. This is what many good leaders have fallen prey to in human history. Their followers stopped seeing their leaders’ shortcomings. What remained of a brilliant ideology were slogans and a reactionary brand of personality-worship. BB’s widower Asif Ali Zardari made an entrance as a non-Bhutto yet the closest in line after BB. He may have successfully completed five years of a democratically elected government, and is today being lauded for his political wisdom, yet his very advent into politics was dependent on this unquestioned adulation. BB’s son Bilawal Bhutto Zardari is the coveted political heir of the dynasty, ultimately expected to take over, whether he is deserving or not. Let us come back to Imran Khan. People either follow him with absolute conviction or are against his fiery, often agitational brand of politics. But undisputedly, Khan’s biggest strength, like the Bhuttos, is supporters who are ready to lay down their lives for him. They believe in his sincerity of intention and his integrity when it comes to money matters. He has proven his persistence. And he is the one man who has the guts to challenge the status quo to the point of dismantling it. This is all good and all true. However, the flip side is that the pitfall is ironically the same as what the Bhuttos faced. While the PTI is a completely non-violent party, members are known be hasty and reactionary if anything against Khan is pointed out. The state of mind being pointed out here is not just limited to followers of Bhuttos or Khan. We see the same in other political parties in Pakistan as well, where a hushed silence ensues when the leader speaks, and there is no allowance for disagreement with the leaders who are seen as saints. Till now Khan has done well, because his followers love him despite knowing his shortcomings. The “human-ness” owing to these shortcomings either increases people in his love or his opposition. For Khan, it is just the beginning. While he does need the sincere support of his followers, he needs, as a part of that sincerity, that they point out where he goes wrong. He needs to develop a culture in his party where the people who are his support are tenacious enough to stand by him, but awake enough to alert him to his mistakes. This will help Khan be the change he promises. A welcome fact is that Khan has repeatedly said that if hypothetically he were to be Pakistan’s prime minister, he would want that his faults be pointed out. Will that actually happen remains to be seen. The hope is that the great Khan remains under check and balance. Only then we can hope for great things from him. Otherwise, it will be de ja vu all over again, where a good leader would fall prey to being idolized. Posted in Pakistan, Straight From The Heart and tagged Azaadi March PTI, Azadi Dharna, BB, Benazir Bhutto, Bhutto, Huffington Post, IK, Imran Khan, Jiyalas, Pakistan, PPP, PTI, SMBB, ZAB. Bookmark the permalink. It is sad that even the brightest of us have so resigned to the fact that the system in Pakistan is corrupt that it has, over time, become a non-issue. For me, integrity is a huge issue. And that is what is unquestionable about this man. It is mainly because I do not fit the stereotypical image people have about PTI people. Emotional, young, immature and what we call “trolls”. I like to think I am none of these. Very few in my field of work are open about their political tilts, if any. Maybe because there is a remote chance it may interfere with journalistic objectivity. However, I have been very clear since day one. Anything I report will say the truth and nothing but the truth. Even if it goes against the Khan. Blogs, tweets and social media are based on purely personal opinions, and hence are a different matter. While I do not deny admiring Khan as one of the most charismatic men in Pakistan, this is certainly not the reason he got my vote or why I support him. People have to start giving people with differing views more credit. Jokes about his questionable political wisdom (I can already hear readers saying “does he have any?”), the “unusual” jalsas with an aura of festivity, and Khan’s very ad hoc, and at times incoherent and repetitive, speeches have not made it easier for supporters like me. It is not easy explaining why someone has moved from believing in PPP as the party that deserves the vote to PTI. But that debate is for another day. As regards this man, undisputedly a national hero, there are very few who have centrist feelings. People either admire him to an extent that they become rude “trolls” in his defence, or write him off and are so put off by him that they react by laughing at him and at everyone who supports him. It is doubly difficult for his supporters who continue to support the man but question and disagree with certain decisions he has taken. I am one of those many. And openly so. Others from Pakistan’s intelligentsia prefer to stay under cover, because the amount of mockery you get from non-PTI trolls for being a PTI supporter is immense. I disagree with Khan on many grounds. I disagree that he and his ministers resigned. I disagree that he is not budging on his demand of Nawaz Sharif’s resignation. I disagree with the words he sometimes uses, in a spell of euphoria and emotion. And these are just a few points. Yet, I continue to support him and trust him. All the mockery has not made me give up on him and his vision. The reasons are many, but here are the five major reasons why Imran Khan is still the only politician I continue to believe in. For how many politicians in Pakistan can you say that? I admit that the man is not perfect, like all humans. He can irk the best of us the wrong way with never-ending cricket analogies that sometimes backfire. But he is who he is. Call it naivety, but how does one trust the “seasoned politicians”? Either you love Imran Khan, or you hate him, because at least you know what he is. As a voter, I have a connection with the political leader I vote for. I must know what he stands for and who he is. For someone who has little patience for hypocrisy, Khan is a natural choice. Khan does not have a history of having had people punished brutally or beaten or attacked. The worst mudslinging his opposition can come up with is that he has been a ladies’ man, and that they don’t cease to remind the world about. But this man has not been involved in any indirect or direct criminal activity that ever harmed or took another human’s life. Khan’s courage is unquestionable. Barring a bullet-proof jacket, the man hardly has any security. His well-wishers often worry about him for this reason, but he is the fearless man that he is. This faith gives his supporters faith. Those who would use others as their shield do not inspire me to support them. He also is always the first to walk the talk. This one man has helped saved millions of lives in this country. Is that a small thing? People criticise him a lot for what they call his “self-absorbed” behaviour. Yet, this man has selflessly and tirelessly worked for public health and education of the under-privileged. For that, not only is the nation indebted, but I know what his priorities will be if he gets the reigns of the government of this country for an undisturbed five years. It is sad that as a nation we have become so used to being led by people that lack these qualities that for us, dishonesty and corruption is acceptable, but a straightforward and sincere leader with much less serious mistakes is lambasted. Our leaders are a reflection of who we are. Time to choose our loyalties carefully. Would you vote for Imran Khan? Posted in Straight From The Heart and tagged activism, Azaadi March PTI, Express Tribune Blogs, Farahnaz Zahidi, IK, Imran Khan, Nawaz Sharif, Pakistan, PTI. Bookmark the permalink. 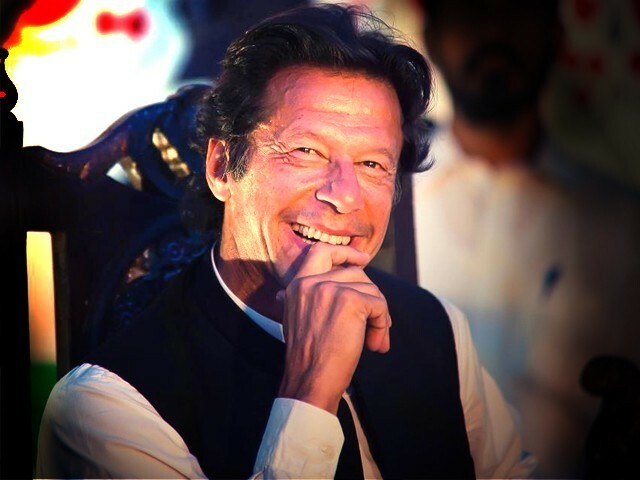 Imran Khan Niazi, even at age 60 plus and a divorce later, is considered one of the most eligible bachelors alive. Those alluring eyes and that almost shy, sheepish smile; a self-assured gait of a true sportsman; a naive idealism that one can disagree with but is charming nonetheless. Add to it that tinge of genuine humanity and a good heart that the world has seen in his philanthropy and an overall drop-dead gorgeous personality despite the wrinkles that give away his age. Imran Khan Niazi, even at age 60 plus and a divorce later, is considered one of the most eligible bachelors alive. May be that is why the news that he is under pressure from his family to remarry made front page news. Across the border, Indian tabloids are also animatedly talking about whether ‘The Khan’ is ready to bite the dust yet again. The Twitterati, of course, are feverishly hash-tagging the guy once again who has bigger issues to worry about, particularly right now with August 14 days away. Yet, the obsession with the eternal hunk’s marital status and romantic liaisons (or their absence) seems related also to a dirty culture of mudslinging fuelled by political agendas. While Imran has paid a price for his ‘popularity’ since his cricket days, he is not the only politician who has come under attack of political opponents who believe in tabloid tactics. Back in the day, Benazir Bhutto’s pictures with friends, in modern attire, from her Oxford University days were plastered all over Karachi as a part of a campaign to smear her name. In true dynastic tradition, the young Bilawal Bhutto Zardari suffered the same fate. Imran’s first marriage to Jemima Khan, in fact, also suffered due to constant paparazzi attention, calling that woman of substance a ‘Yahoodi ki beti’ among other choicest titles. What I truly respected was how the couple parted ways. He never badmouthed his ex-wife and in fact took the blame on himself, if at all there was anyone to blame. But then, it is not just limited to character assassination. A photograph allegedly from Imran’s visit to the Internally Displaced Persons (IDPs) in Bannu, Khyber-Pakhtunkhwa (K-P) in early Ramadan in July made rounds on social media. The picture showed him drinking a glass of water, with the glass circled in read, and fascinating cheesy captions implying him to be a bad Muslim, and thus a villain who could never do anything good. The picture from Bannu had credibility issues in any case. It was released many days before the date mentioned on the lower left side of the photograph. With fame of any kind, one’s private life does come under the spotlight. But a line has to be drawn. While we, the awam, don’t necessarily cook up these stories, masses have been known to let their opinions and votes sway as a result of rumours. But in all honesty, more than being an interesting bit of information about a politician, what difference does Imran getting married make to our lives? It didn’t make a difference what Pervez Musharraf or Asif Ali Zardari or Shahbaz Sharif did in their private lives or how many times they married or who they were seeing. All we knew about them were ‘unconfirmed reports’ which didn’t matter. What mattered was whether they made a difference to the country or not; whether they served the nation or not. If Imran marries, good for him. And I wish the national hero all the happiness in the world. If not, it’s his life. As a Pakistani, my concern and prayer is that he is able to contribute to the betterment and progress of a nation that needs hope and inspiration. The rest is not my business. Posted in Uncategorized and tagged Imran Khan, Jemima Khan, Naya Pakistan, Pakistan Tehreek e Insaaf, private life, PTI, Tehreek e Insaaf. Bookmark the permalink.